This weekend sees the final training squad trials for Great Britain Women at Ice Sheffield. After a two-day camp at Bracknell and the off-ice camp at the University of Gloucester, the final selection for the training squad is made this weekend. Head coach, Paul Burton, said: “The selection process is transparent and players wanting to trial just have to apply. “We have had a good response from the players and the open trials have allowed us to see over 50 players in the last two months. “The training squad will work together both on and off the ice over the next three months, before being joined by players from overseas at Christmas. 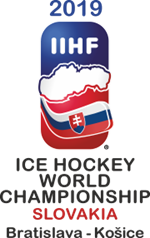 January sees the GB team and reserves for the World Championship tournament in Dumfries being announced.